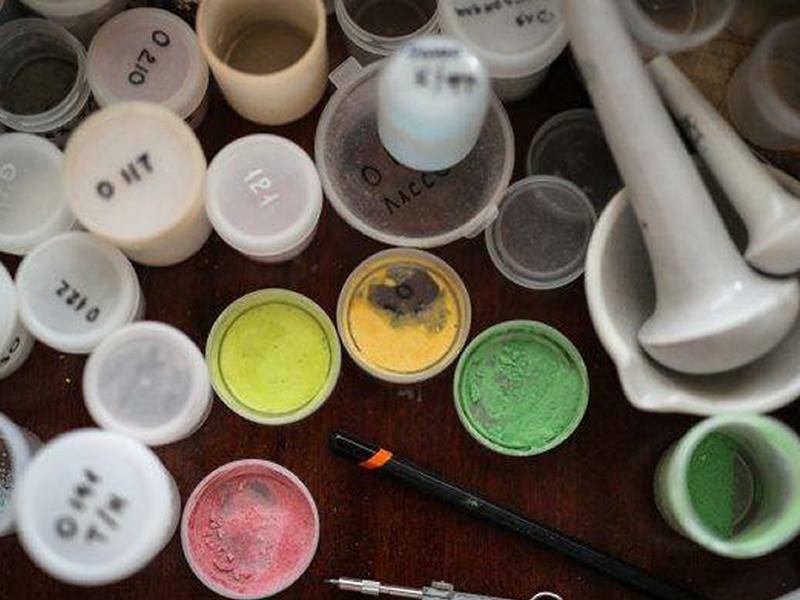 This one-day workshop at Central Scotland School of Jewellery makes an ideal introduction to enamelling and is Suitable for beginners as well as students looking to expand their skills. Suitable for beginners as well as students looking to expand their skills, this one-day workshop makes an ideal introduction to enamelling. Enamel has been used to add colour in jewellery for centuries. Here you will learn the basics of dry process enamel to create your own necklace or earrings to take home the same day. In its most basic form, powdered glass is sifted onto a piece of copper, melted in a small kiln and cooled – leaving it with permanent colour. The day will begin with a demonstration of basic enamelling techniques including how to prepare the metal, stencilling, applying graphite marks and adding texture and colourful patterns with millefiore. In the afternoon, you will explore and practise these techniques to create samples before creating your own pieces. Copper blanks will be provided, however if you already have some jewellery experience you can create your own shapes from copper on the day if time permits or bring them along on the day. All tools and materials provided, with the exception of extra silver findings if you wish to create more than one piece. These can be purchased directly from the school at cost price on the day. Please bring along glasses if you need them and wear appropriate clothing for a studio environment including closed toe shoes. If you have long hair please wear it up. While we take every opportunity to ensure the details for Introduction to Enamelling are accurate, we always advise that you contact the event organiser before setting out for the event to avoid disapointment.